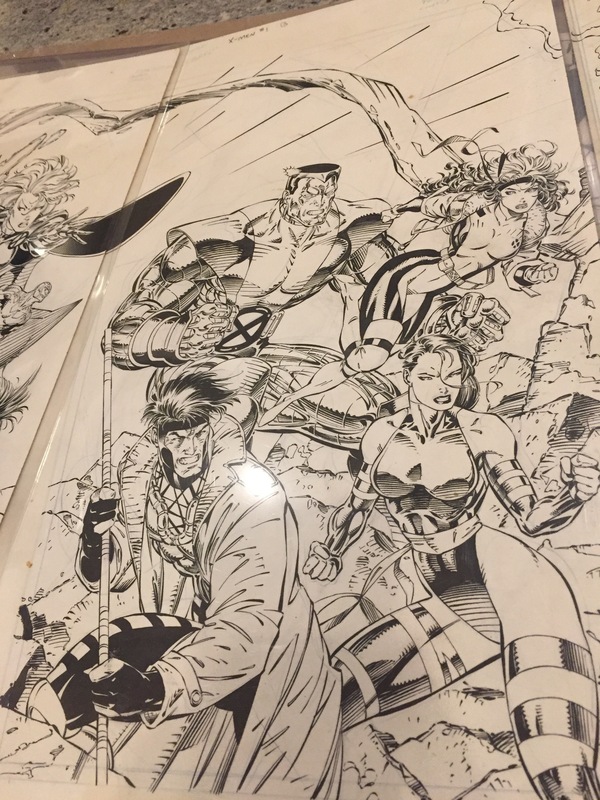 Psst…wanna see Jim Lee’s original art from X-Men #1? Anyone who was reading comics in the early 90s can instantly recognize the images in the artwork above. 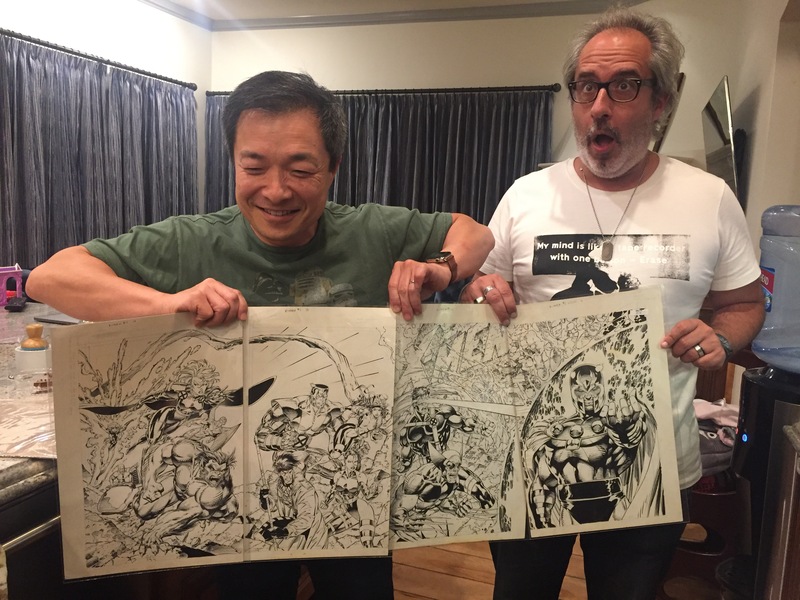 X-Men #1 is the number one selling comic book of ALL TIME, thanks almost entirely due to the incredible artwork Jim Lee created. So imagine the geeky goosebumps when Jim breaks out the original cover art to these five historic comics, while hosting a fun dinner party. 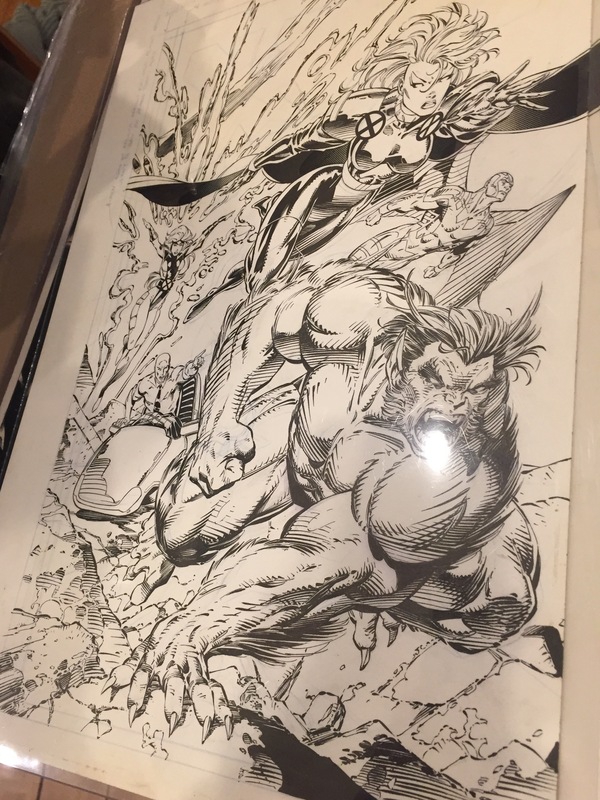 I mean, I’ve been lucky to see some notable pieces of comics art in person, but this was something else. For comic art geeks like yours truly, this is the equivalent to getting a chance to pull The Scream off the The National Museum’s wall, take it out of the glass, and inspect it…with your bare hands. 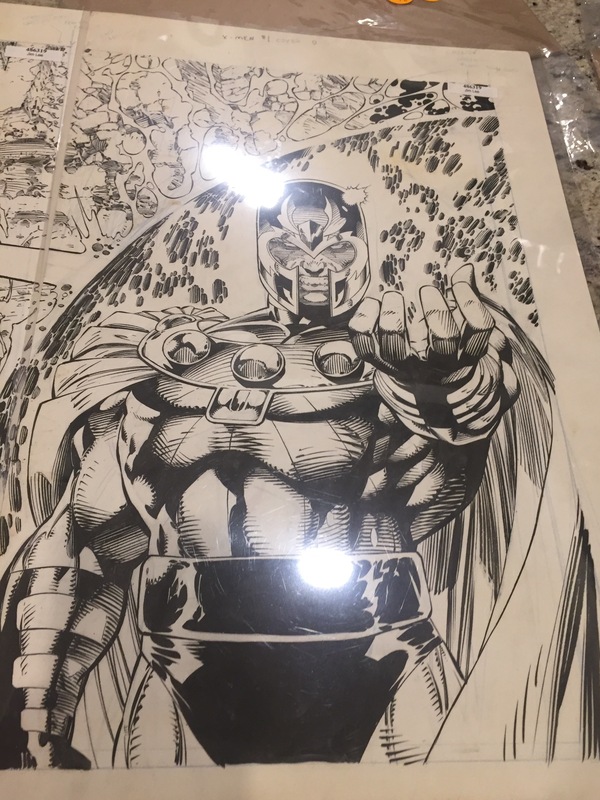 Jim’s art, inked by the great Scott Williams, is always more impressive to me in its black & white form because you can really appreciate all the attention to detail. The dynamic angles and the sheer energy of the characters jumps off the page. Look at Psylocke in Cover B …its just phenomenal. 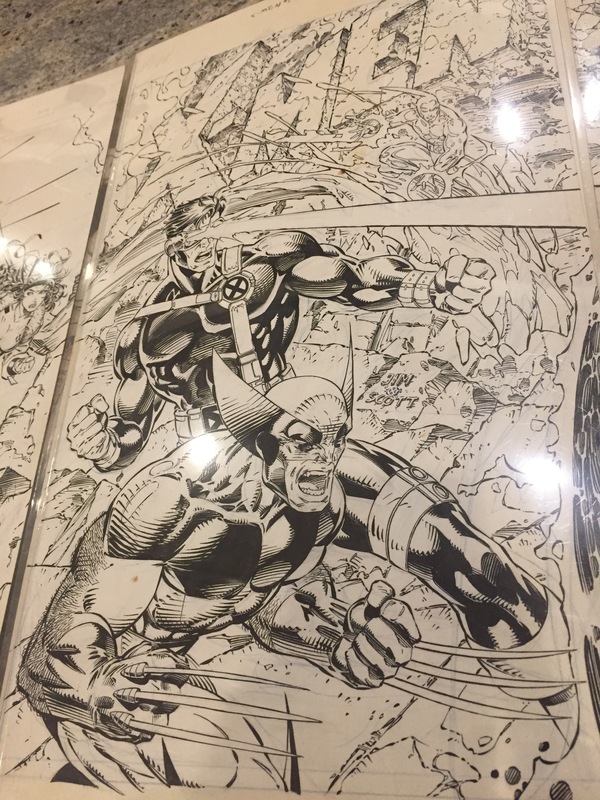 Here’s some video showing the original art in its proper order – and forgive the flash in the pix and video. When you’re nerding out, there’s no time for dealing with nonsense like lighting! (All of us nerds in attendance were so enthralled we barely paid attention to the double-page Dave Cockrum X-Men splash Jim also showed us). No words to describe this masterpiece. I would love to have a copy of this line art as it is. I always loved Lee’s proportions. Previous Post Spider-Man: Homecoming Looks … Spectacular!